It’s incredibly rewarding to reel in your first fish when you’re out on the open seas, but nothing compares to the first bite after cooking your catch. There are a variety of fish, especially around Florida’s East Coast, that make for an amazing meal. If you’ve just hopped off the charter and you’re looking for the best way to enjoy your dinner, here are a few recipe ideas for your catch of the day. Mahi, also known as dolphinfish in the fishing community, is a delicious meaty, white fish that goes well with almost any flavor. 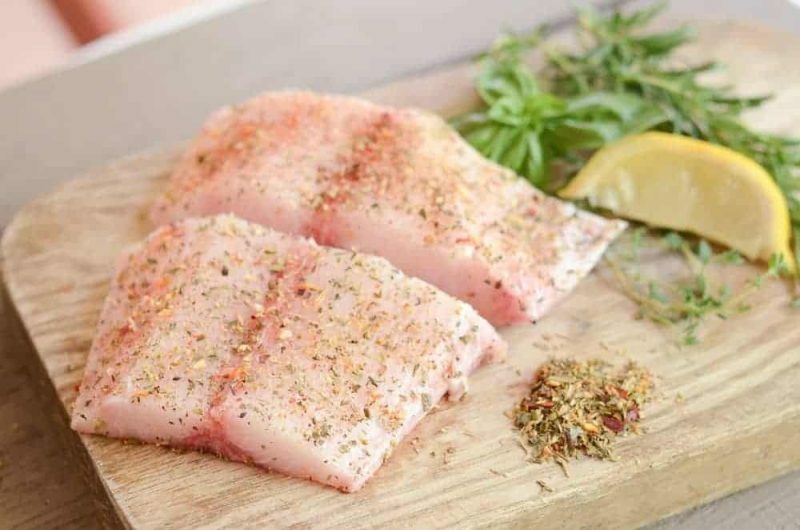 To enhance the freshness of the daily catch, it’s great to pair it with other fresh herbs and citrus, like lemon and dill. This can be grilled or cooked on the stovetop and served with a creamy risotto, or placed on top of tortillas for some fish tacos. Much like the lemon and dill, pineapple and cilantro make a fresh ensemble from the sea and your garden. If you have access to a grill, it’s great to throw the pineapple on there for a few minutes before serving, but if not, you can dice it up and mix it with cilantro, avocado, and tomato to make a salsa. The tuna should not be cooked for long. The best way to enjoy it is with some light and crispy outer layers with a nice pink center. Be sure to coat it with salt and olive oil before throwing it on the heat. Remember cooking your catch can be just as fun as catching the fish. Grouper is one of the most delicious fish in the ocean. It can be blackened, grilled, or baked, and you can put it over pasta or between some kaiser rolls for an amazing sandwich. There’s so many things to do with it, but a foodie favorite is the pecan crusted grouper. Mix an egg with some crumbled pecans, dip the fillet in it, then place on the stovetop for 10 -15 min, depending on the size of the fish. The nutty flavor with the fresh fish is a fantastic combo. You’ll love it so much you’ll be looking for fishing vacation packages in Port Canaveral. Nothing wrong with a fresh fish for every night of the week! Went on the evening shark fishing excursion. Sure enough, my grandson captured a blacktip reef shark. He is only11, and it was the highlight of our trip to Florida! He was thrilled, The staff- we had Captain Tyler- couldn’t have been more wonderful! !